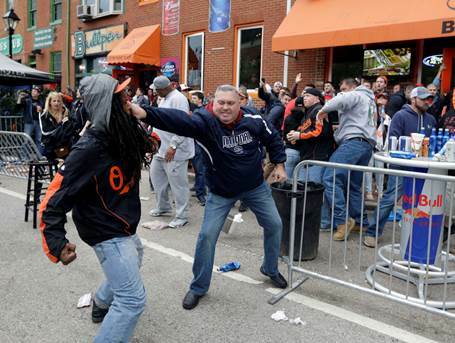 When chaos broke out in the streets after Freddie Gray last March, it shined a light on ugly problems in our world, in our city and in our hearts. If you don’t believe me, scour the Facebook posts that flew out in those days. In the aftermath, it was more clear than ever that God was calling us as a church at Mountain to do more than ever to show the power of God’s reconciling love. If ever there was a time when the church must be the church, this is it. At the center of our fellowship is a unity based on the love and healing of Christ – and this is a divine power that is stronger than the human hate, ignorance, and fear that separates us. There is division everywhere. We divide by socioeconomic class between rich folk and “po folk,” the haves and have nots. We divide by color, hiding in our respective ghettos. We divide by culture and creed and things we have in common. The streets are divided, and so are the hallways in schools and the hearts of people everywhere. And sometimes, some places, Sunday morning is just another segregated hour. The ministry of Jesus crashed through barriers. He consistently reached across the lines that kept people divided. One thing I love about Mountain is that he is changing us and shaping this community. I think that’s because we’ve been bold and brave enough to believe that this is a place where Jesus welcomes everybody – even those who don’t look, talk, or act like me. And so we’re not gathered because we have a lot in common in terms of color, class, or culture. We come from different classes, colors, creeds and cultures – but what we do have in common is that we are broken, and are finding healing and hope in Jesus who holds us together. That forms a beautiful community, a people of every tongue and tribe and nation who worship together today as we will one day around the throne. the tie that binds our hearts in Christian love is stronger than the forces that threaten to pull us apart. 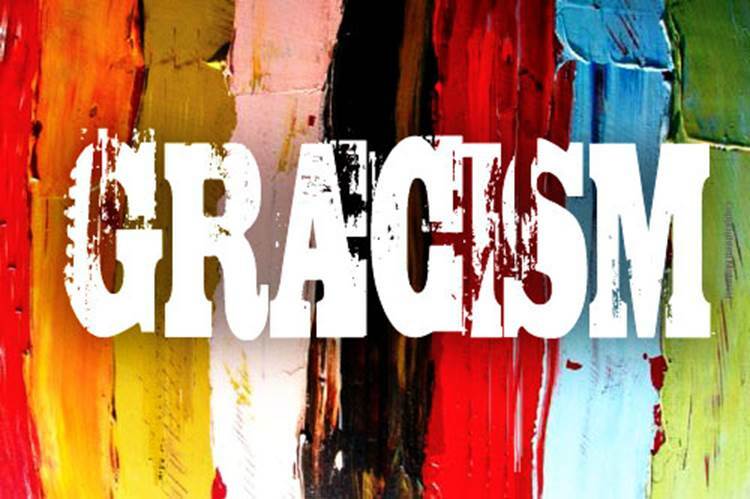 When we humbly lead the way by reaching across racial lines to demonstrate GRACISM, as my good friend David Anderson says, we show that all lives do matter in the eyes of Jesus – and that’s why they matter to us. Toward this end, I want to let you know about an important event we are hosting at Mountain this coming weekend. It’s titled: “Addressing Race and Racism within the Church Community.” Talk about bold! You are invited to attend. There will be a series of talks in seminar format on Saturday, November 14th 9:00-4:30. You can participate in as much or little as you can. Attendance is free. The day will be led by presenters who are part of the Racial Unity Leadership Summit (RULS), a national group focused upon inspiring unity among people of different races and cultures. There is a burning desire in our nation and in our communities for genuine reconciliation with God and among all people. This event gives voice to that desire. God wants to use his people in the church to bring healing in our land, our homes, our lives. To learn how to help, and to be part of changing the world in this way toward the picture of the church in the scriptures – show up and participate as much as your schedule allows. Again it’s free but please register here. And if you have any questions, email Samantha Webb and she will help you.